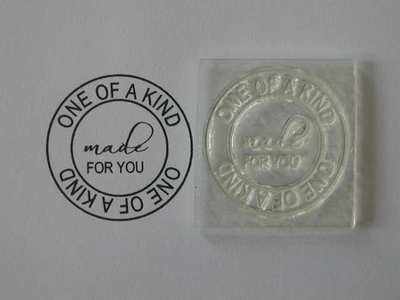 'One of a Kind, made for you' circle stamp, can be used of the back of your cards, or as a label on OOAK handmade items. See also the personalised section to have your own text in the middle of this circle stamp. The OOAK circle stamp and the 'Made for you' little words stamps are also available separately.